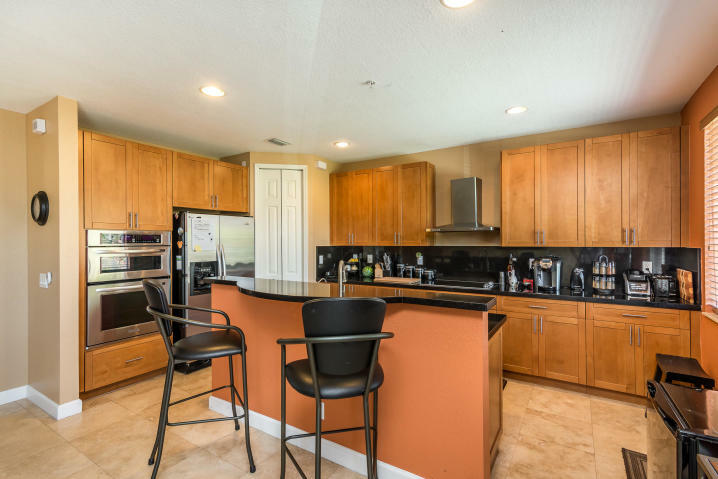 This beautiful residence showcases a well appointed chef’s kitchen with granite countertops, premium grade wood cabinetry, top of the line stainless steel appliances including double oven and newer dishwasher. This home also boasts custom Saturnia marble flooring, recessed lighting, open balconies from dining room and bedroom, Master Suite with walk-in closet, spacious en-suite bathroom featuring dual sinks, separate shower and roman tub. This private gated neighborhood features waterfront pool with picturesque views of Intracoastal as well as state of the art fitness center. Residents of Waterside Village are in the center of it all minutes from beach, Downtown Delray, a wide array of retail shops, casual and fine dining restaurants, public parks, community events and more.